Which type of flooring should we choose? 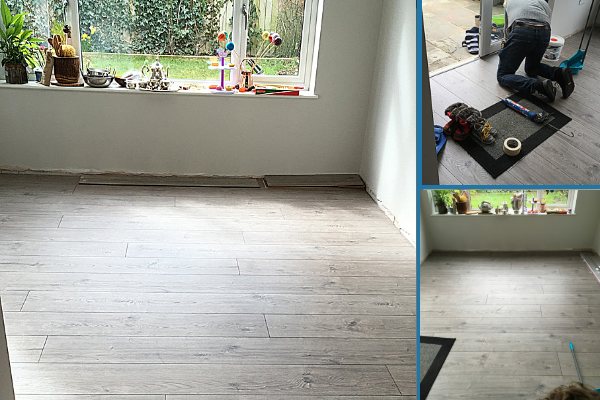 We had already decided that we were going to go for a Luxury Laminate Flooring to match the rest of the house. 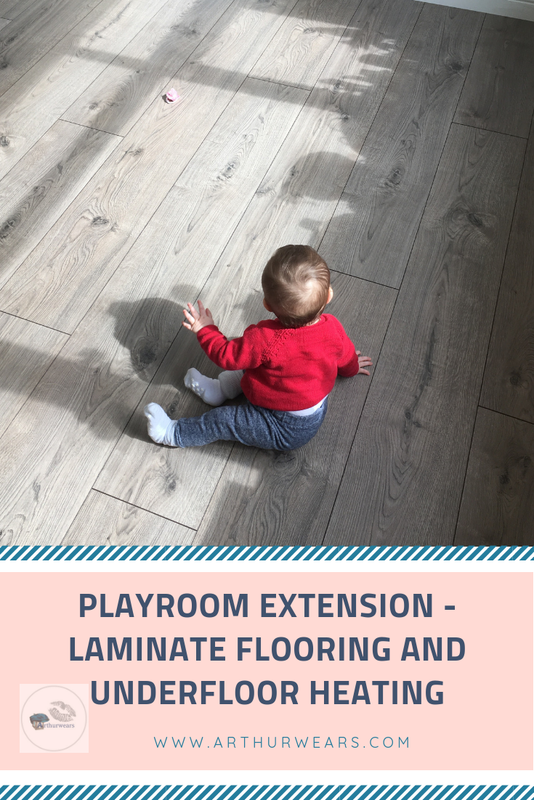 The playroom extension joins onto the kitchen and one flows into the other (so, in theory the extension could also be an extended kitchen or a sun room, or snug in the future) therefore, the laminate flooring needed to flow through too. 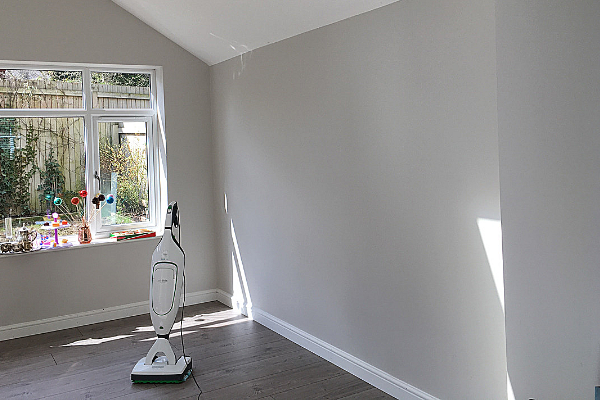 It's easy to clean - Unlike a carpet which can hold onto dust and stains, a laminate floor can easily be wiped and cleaned to look like new again. Perfect if you have dust allergies. 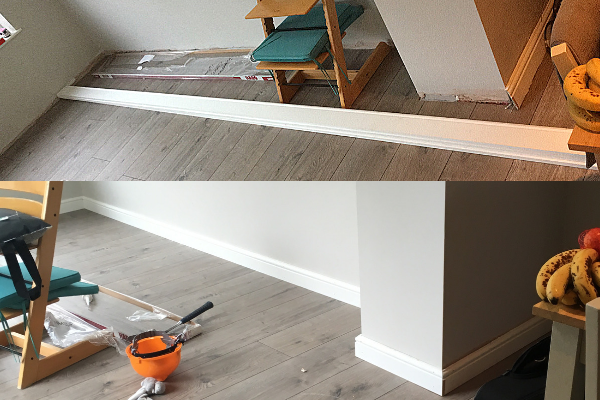 Laminate Flooring is hard wearing and easy to maintain - it has the effect of looking like wood, without the upkeep of oiling and polishing. It is much more scratch and stain resistant than real wood...perfect for a playroom! Noise reduction - we have found our laminate flooring to be super quiet - perhaps not as quiet as a carpet, but definitely more quiet than a tiled floor! Re-usable - Okay so this is probably only really true for the type of Laminate Flooring that we have, which has a 'click lock' edge to fit it together. 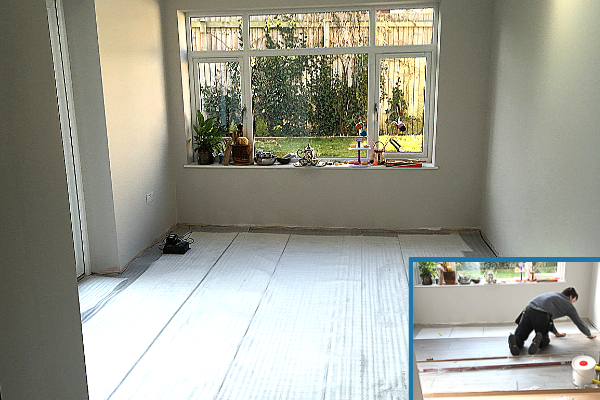 This means that the flooring can be laid without glue, and even taken up and used again if you move home! 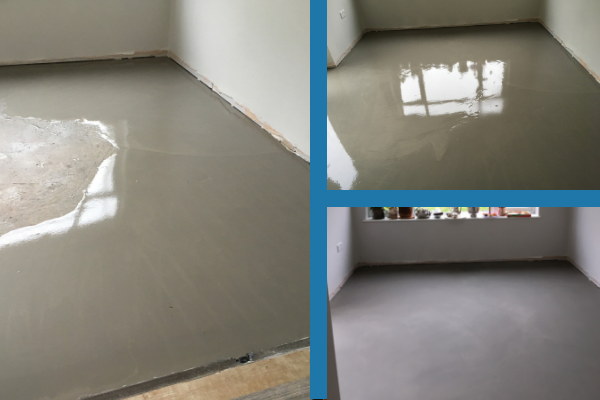 This type of laminate is referred to as a 'floating floor' and is often used in new build houses due to the type of screed on the floor. 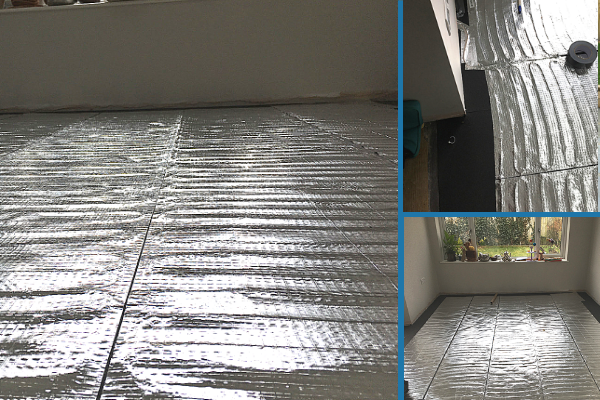 Suitable for underfloor heating, which we have used in our extension. Other types of flooring we considered were carpet, carpet tiles, marble or ceramic floor tiles, poured resin and wood. You can't use a steam mop - this will ruin your floor and if your laminate is glued, it will lift the glue. You can't really use a very 'wet' mop - the water could seep through any gaps. A microfiber floor mop that doesn't get 'drenched' is best for cleaning laminate flooring, or, this amazing vacuum and mop from Vorwerk which I tested last year...I am still trying to save up for this, it is brilliant for cleaning hard floors. 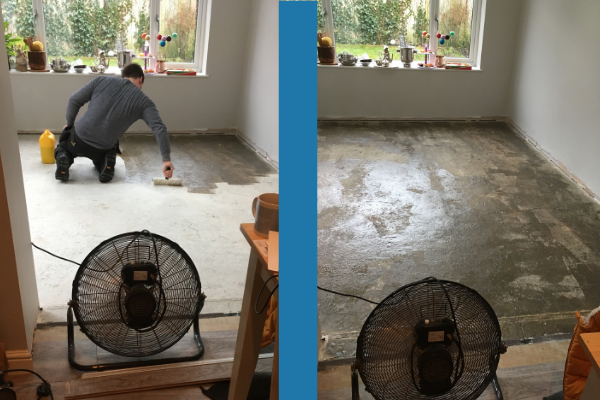 If you have electric underfloor heating fitted like we do, then you can't have furniture flush to the floor - it needs to be lifted slightly on castors so that there is an airflow. Having rugs/mats on top of the laminate floor with electric underfloor heating pads can create 'hot spots' which could ruin the floor. Most laminate flooring is okay up to 27 degrees. This was news to me as I had planned to have some cute little rugs in our playroom. 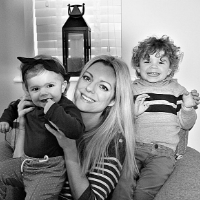 Stay tuned for the next installment, showing the furniture and set up of the playroom. 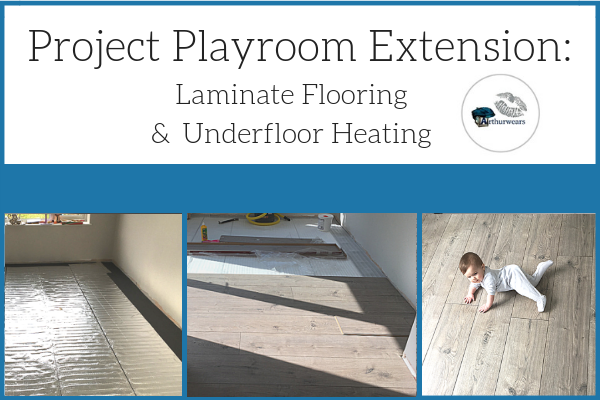 You can follow the project playroom extension from start to finish on my Instagram Stories Highlight here. Our dog and smallest child ran across the screed before it was set - leaving big footprints! Had to get it redone which was a bit of a whoops! 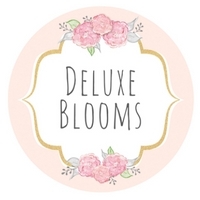 This looks fab, thanks for linking to #kcacols and hope to see you again next time. why did I never realise you can't mop a laminate floor! Thank goodness we don't have one yet haha!